The game doesn't install correctly on Windows 10 without a custom fix program. 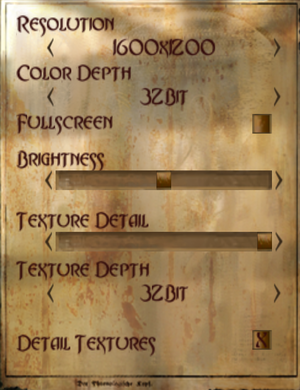 Enhances the overall look of the game with higher quality assets, moreso than the 2011 remaster of the game which this texture pack is also compatible with. Features an expanded tweaks/cheats menu and optional Overkill mod that adds more lighting effects and enemies. Download the texture pack here, then extract its content somewhere conveniently accessible on your computer. Copy the INT folder, as well as the autoexec.cfg, config.cfg, and zzpak*_mod.pk3 files into <path-to-game>\base. Now run the game. The game's visuals should be changed with those from the HD texture pack. Default LOD settings can be overridden to make the game render highest quality models all the time. Run the game at least once, so the configuration file gets created. Open <path-to-game>\Base\config.cfg file with a text editor. Add lines seta r_lodbias "-2" and seta r_lodcurveerror "10000" in the Cvars section. Save your changes and run the game. Use Simple Runtime Window Editor with the Remove Borders option. Anisotropic filtering can be hacked through video card settings. Anti-aliasing can be hacked through video card settings. Capped at 63 FPS by default; see High frame rate. In the Cvars section, change seta r_mode "X" to seta r_mode "-1" (add it if it doesn't exist). In the Cvars section, add seta r_swapinterval "1" as a new line, and then save the changes. If the framerate is low when vsync is enabled, rename alice.exe to quake3.exe. 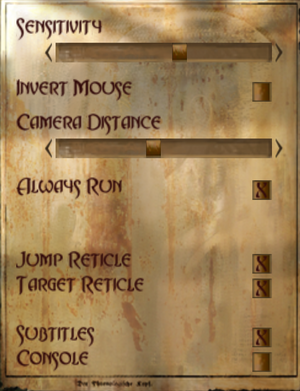 If the game slightly stutters in some areas, disable vsync and run the game instead in fullscreen borderless window using Simple Runtime Window Editor using the Remove Borders option. Windows should then apply triple buffering to prevent screen tearing. In the Cvars section, add seta com_maxfps "0" as a new line, and then save the changes. Although it is possible to enable controller support in the original version by using the console commands in_joystick "1" and in_restart, it was not properly implemented nor fully functional. A3D 1.0 and 2.0, EAX 1 and 2. Use the Alice Dutch Patch. Also compatible with the 2011 release. 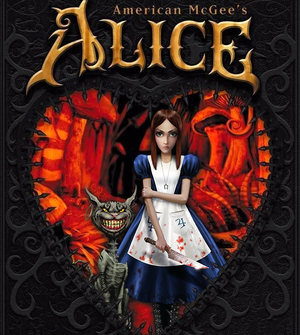 See How to Play American McGee's Alice in 3D using 3D Vision. When attempting to save the game, a "Hard disk full, try deleting save files" message is sometimes displayed. The game folder must be installed in either Program Files (for 32-bit Windows) or Program Files (x86) (for 64-bit Windows) to save properly. When installing the game, either accept the default install location, or copy/move the pre-existing installation to the specified location. This was tested on Windows 10 64-bit ver. 1709. The installer seems to skip over several files during the installation process on computers running Windows 10. Run through the installation process from the discs as normal, and make a note of the game's installation folder. Re-insert Disc 1 back into your computer's optical drive. Download and run the Alice Windows 10 Fixer, then follow its instructions. If you have installed the game to a different location than the default, you will need to enter this path manually when it asks you where to install the missing files. In the Cvars section, add seta r_fullscreen "1" as a new line, then save the changes. Write-protect the file by setting a "read-only" attribute. 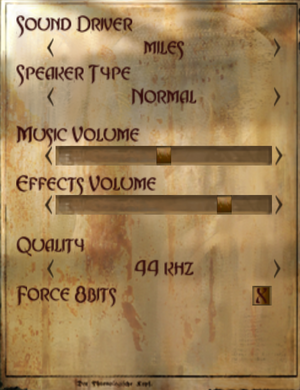 The game may run poorly even on modern hardware. In the Cvars section, add seta r_primitives "2" as a new line, then save the changes. Open game alice.exe with a hex editor. Replace it with B000520053E87095070083C40885C0741A, then save the changes. Steam's FPS counter measured the game's frame-rate was running at 200+ FPS with the frame-rate uncapped and V-sync disabled via these config edits.